D week will be one to remember. Pluck the letter D magnet from the refrigerator this week at breakfast. Make your best or worst fanfare-trumpet noises. Announce to your giggling cereal-munchers that this week will be dedicated to learning about the letter D. Teaching preschoolers about letters gives them an advantage when the time comes to begin reading. Start with a trip to the library for letter D books. Celebrate at the close of the D theme with a dozen delicious doughnuts. Oh, and share them with the kids, of course. 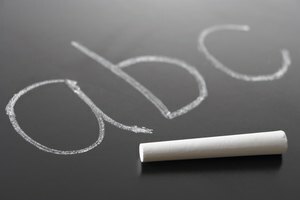 Choose five words that begin with the letter D to serve as the word for each school day. Keep your kids favorites in mind when choosing the words. Plan simple activities around the words you choose. Dinosaur-loving preschoolers might enjoy gathering all of the dinosaur toys strewn throughout the house then arranging them in a display. Dolls, dogs and even dots are choices for the D word of the day. 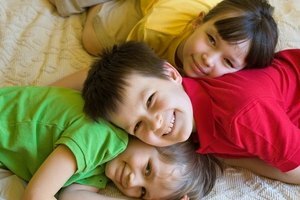 If one of your children, a friend or a relative has a name that begins with D, include that name as the word of the day. "Dad" would be a good choice for word of the day. Maybe the kids could draw pictures depicting Dad making dinner. Hint, hint. Scrounge around the house to find all the crafty preschool-friendly doo-dads that kids can glue to a piece of paper. 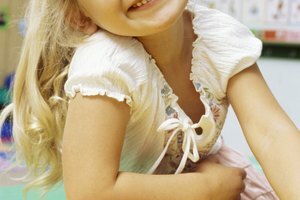 Cotton balls, squares of construction paper or even marshmallows and dry cereal can be spur-of-the-moment art supplies. Draw an upper-case D on a piece of paper with a black marker. Let the kids use glue sticks to apply the craft items to the black line. If it is one of "those" days, and a crafty glue-stick project is not gonna happen, dig out that hidden stash of stickers to apply to the D shape. 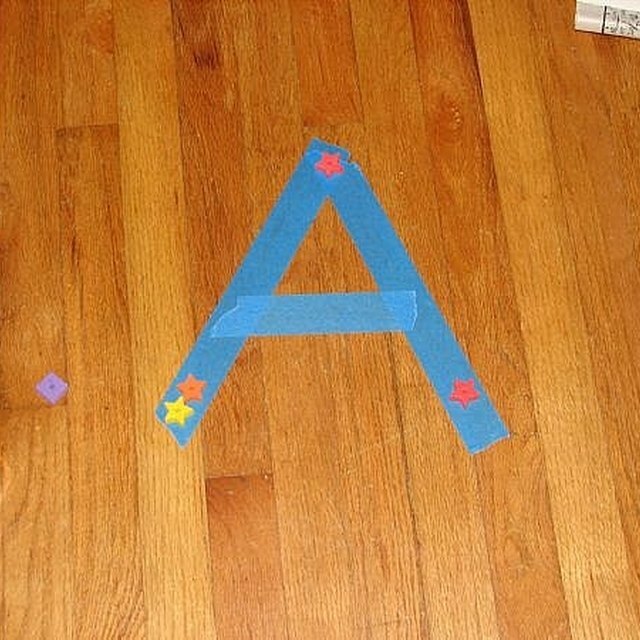 Make a D out of everyday items in your home. 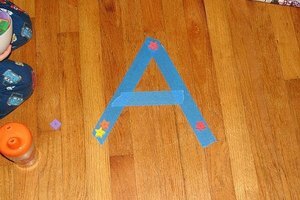 Encourage your little ones to put objects together on the floor or on a table to form the letter D. Show them how to line up similar objects in a vertical line, then place objects to the right of the line in a crescent shape to form a D. Let them make a huge letter D on the floor, using books, or a small letter D on the table, using blocks. See how many D shapes the kids can make in 10 minutes. Play a family game of dancing D detectives. Cut D shapes from pieces of scrap paper or old greeting cards. Make one shape for each child. Take a walk around the house to find items that begin with D. When the children recognize something that starts with D, ask them to place their D shape on the object and do a dance. Dance with them; it relieves stress. The kids won't judge you for doing the D dance. Take a notebook with you to write the names of all the objects you found that began with the letter D.
Land, Andra. 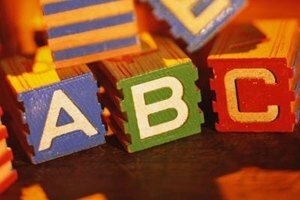 "Preschool Theme Ideas for Letter D." Synonym, https://classroom.synonym.com/preschool-theme-ideas-letter-d-44508.html. 26 September 2017.